As the title says! 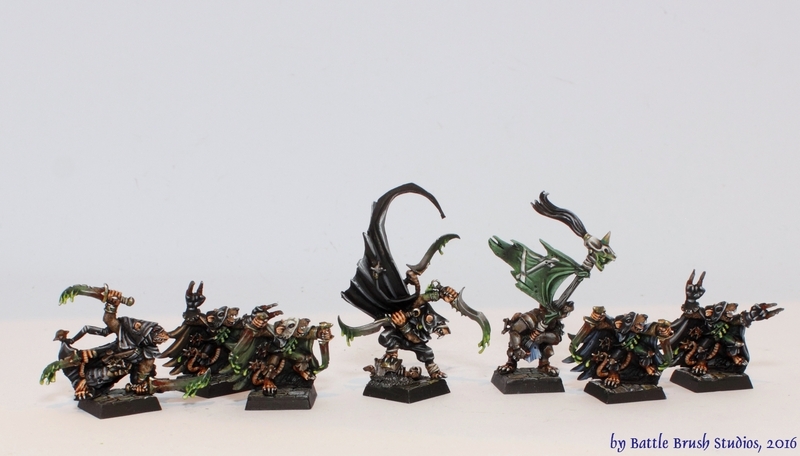 It's a whole lot of Skaven Assassins (and a flag bearer) for a Mordheim Skaven warband! You can see two incarnations of Snikch, at the centre and the far left. Very nice minis, all of them. I kept the rusty theme on the blades I use throughout this warband, enhanced by some poison looking stuff. Everything warpstone-related is glowing a bit. great job with the painting, world class as usual!